Gardening season is upon us, and I couldn’t be happier! I often get asked what type of veggie plants a novice gardener could grow and have successful results. Just like anything else, gardening is a skill that requires patience, time and dedication. That doesn’t mean you can’t jump right in and start! There are so many great veggie plants you could try, but I have a few suggestions. You will notice tomatoes are not on this list. Many people claim they are simple to grow. I have never felt that way. Tomatoes require more TLC than other plants, and I have had many years with a bad harvest. There are easier plants to try first, but if you love tomatoes, give them a try! My first suggestion is always lettuce. I’ve never struggled to grow a plentiful crop of lettuce. While it doesn’t like hot weather, damp soil and some shade will give you a harvest until winter. 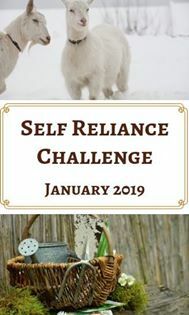 Some people make hot boxes and grow lettuce year round, even in the snow.You can grow lettuce in a raised bed (like I do), or try it in a container. Lettuce needs planted as an early, spring crop. 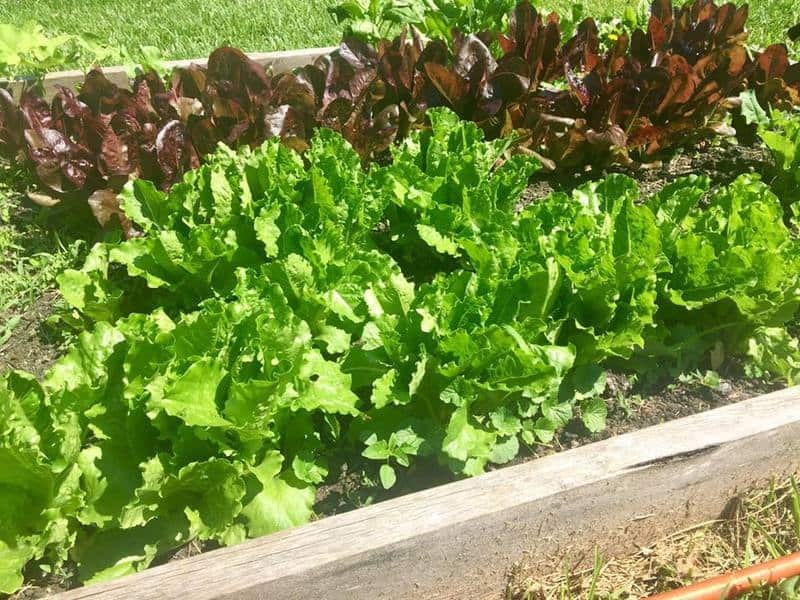 We always grow a few varieties of butter crisp lettuce and romaine. Beans are an easy staple to grow in almost all climates. Green beans and dried beans are simple and come in two varieties: pole and bush. If you are short on space or like to take advantage of every area (like us), pole beans are the way to go. All you need is a trellis or poles with strings in between for the beans to grow up.Beans need to be planted after the final frost. They prefer warmer and hot weather to grow. A good tip is to soak the beans for at least an hour before you plant them. It always seems to increase the germination rate. Peas are a spring and fall crop, but you can plant them at almost any time. I find peas to be a hardy crop, capable of withstanding warmer weather if the soil is kept moist.My kids love to plant peas. From the time they are little, I teach them how to line the seeds along our beds and, using their little fingers, push them into the soil. Peas come in bush and pole varieties as well. We have great success with our pole peas. Zucchini are prolific plants. If you don’t grow them, you are likely to still have some given to you because the plants produce a lot. Zucchinis are an iconic summer veggie. 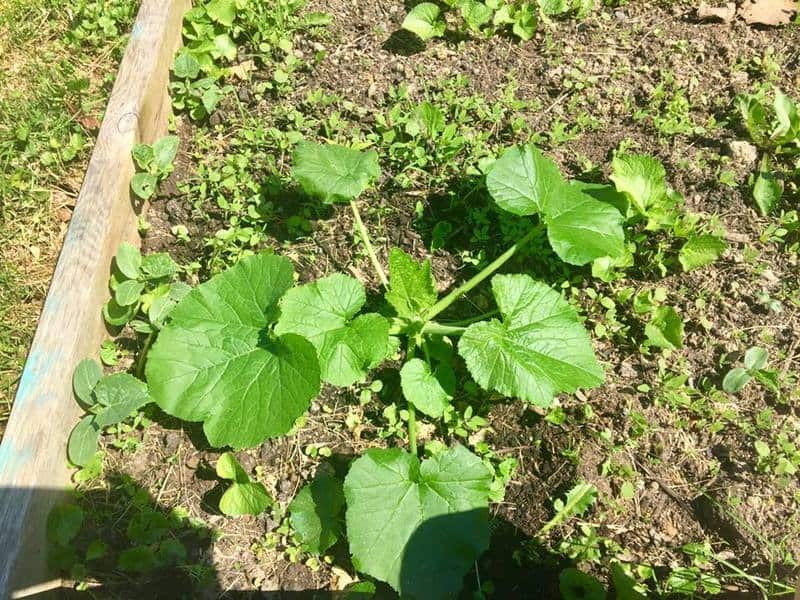 I’ve never had trouble growing them!You can start zucchini directly in the ground with seeds or start the seeds one to two weeks prior to transplanting. If you start the seeds inside, remember that zucchini can get root bound easily and prefer not to be disturbed. The last plant I suggest newbies try is cucumbers! They are easy to grow in small space; all you need is a trellis or poles to grow up. Cucumber plants are prolific growers, and they are perfect for summer. If you love pickles, you have to try a few pickling cucumbers. Making pickles is so easy! Gardening is fun. There is no reason to wait if you want to give it a try! 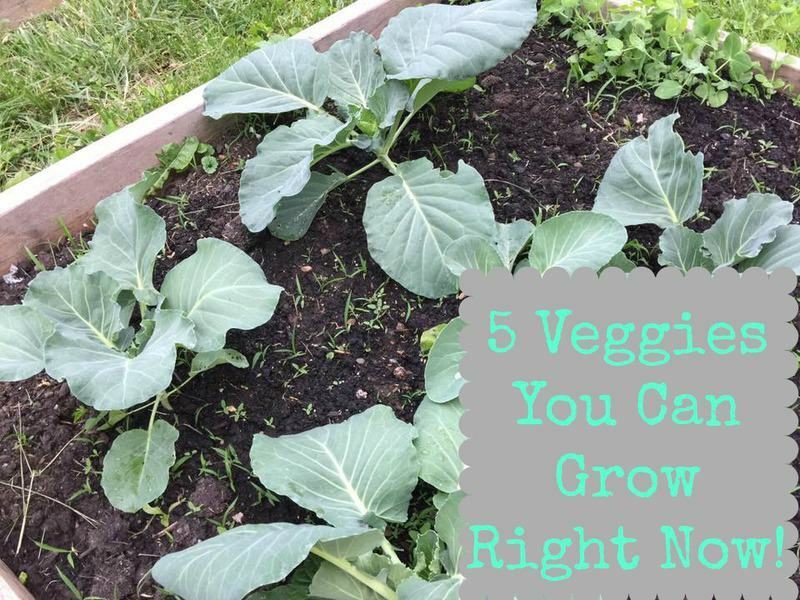 These are just 5 veggies you could try to grow right now. Do you have a favorite veggie plant you love to grow? Let me know in the comments.